It’s been a while since Android Nougat has been out. Nexus users have already used Android Nougat developer preview ROMs. But we can’t forget about the Android One devices that are considered as Google devices as its an initiative taken by Google CEO. As per the reports Android One devices will receive official Android N updates very soon. But if you have rooted your Android One device, you don’t need to wait for official roll outs. 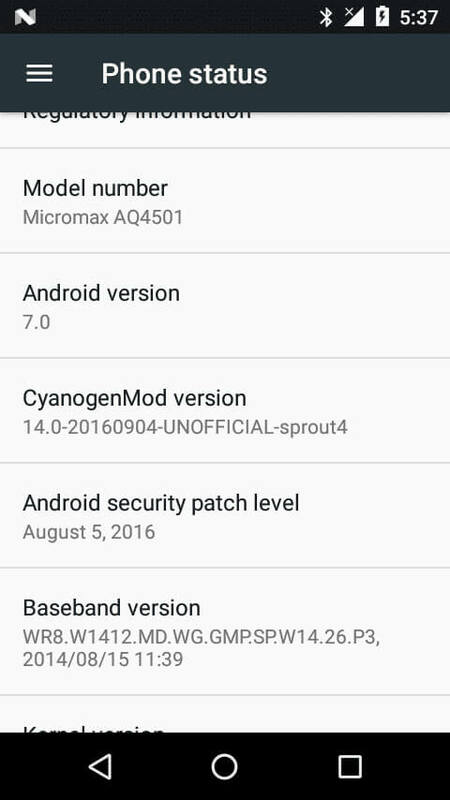 Thanks to XDA developer, varun.chitre15 who have managed to compile a Cyanogenmod 14 Android Nougat ROM for Android One (sprout) devices. CyanogenMod is an open source operating system for Smartphones and Tablet computers that builds custom ROMs based on Android mobile platform. Currently, Cyanogenmod, preferably known as CM, is considered as an ideal solution in finding a custom ROMs built on latest Android releases. This ROM is only for Android One (sprout) devices. Please don’t try this on any other smartphones. Step 1. 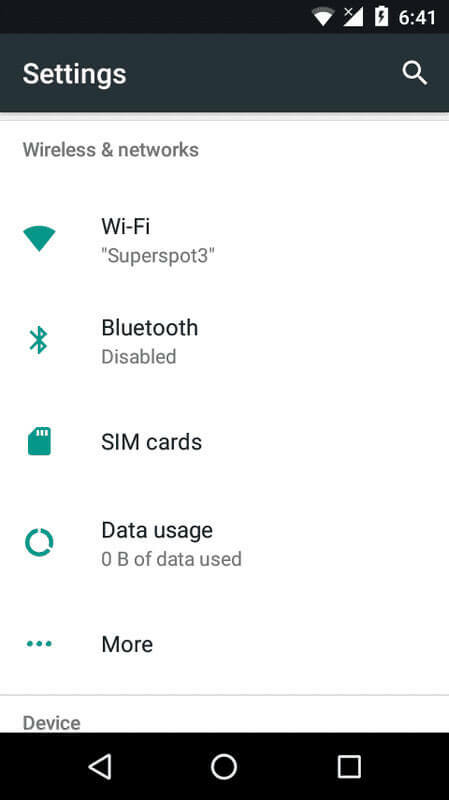 Transfer the downloaded AOSP ROM & GApps zip in Android one device & Turn off / Switch off your Android One device. Step 2. Boot into TWRP recovery mode by holding volume + and power button. Step 3. Do not forget to perform a nandroid backup. 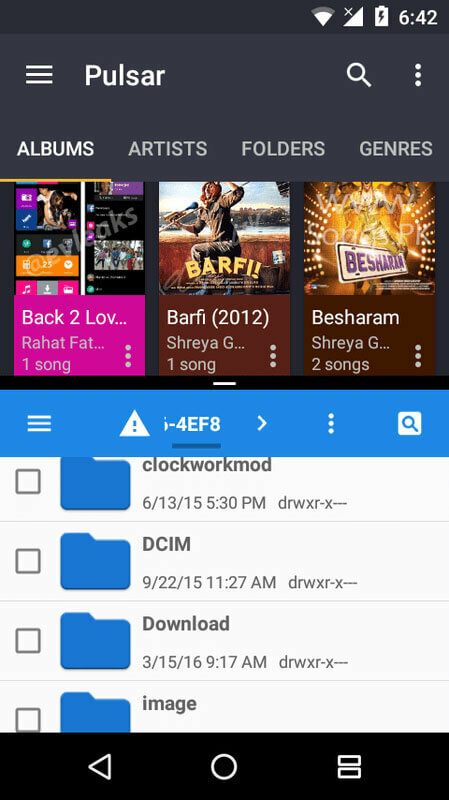 Goto backup option in TWRP and select all the partitions including System, Data, Boot, Recovery and swipe right to backup. Step 4. After performing the ROM backup, go back to the TWRP main menu and tap the wipe button. Step 6. Next, swipe to confirm. Wait for the wiping process to complete. Step 7. Next, Goto TWRP main menu & goto Install option. Locate the ROM file & tap on it. Now swipe to Install the ROM. Step 8. Once the installation process is finished successfully, Again Goto TWRP Main menu, Tap on Install & locate the GApps zip file. 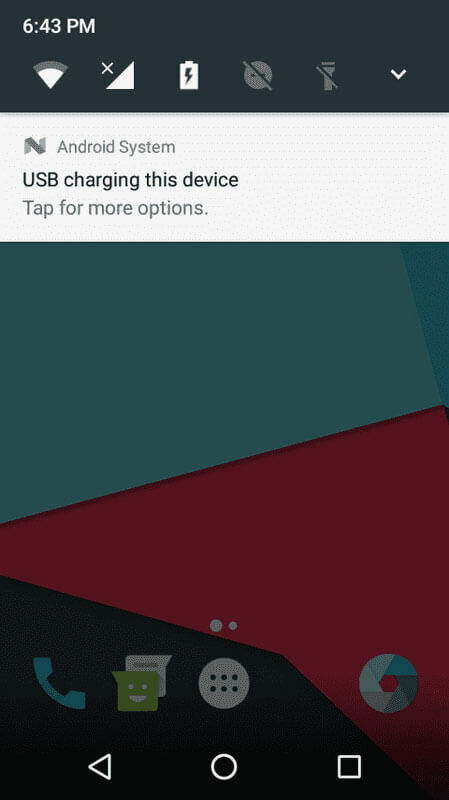 Swipe to install GApps Package. Step 9. From recovery select “reboot”. First boot might take 4-5mins, so don’t panic. Note: You need to flash the gapps package right after you install the ROM. If you boot up and then go back and flash it, your phone won’t boot. As this is an experimental versions of the software. Progress is updated… developer, bringing forth the latest changes to the code. This means it’s more than likely that you will encounter bugs and issues from time to time. If you would rather not deal with that (as much), wait for the stable release. Are any of you guys installing these CyanogenMod 14 Alpha 1? Let us know if you found anything annoying in this ROM.